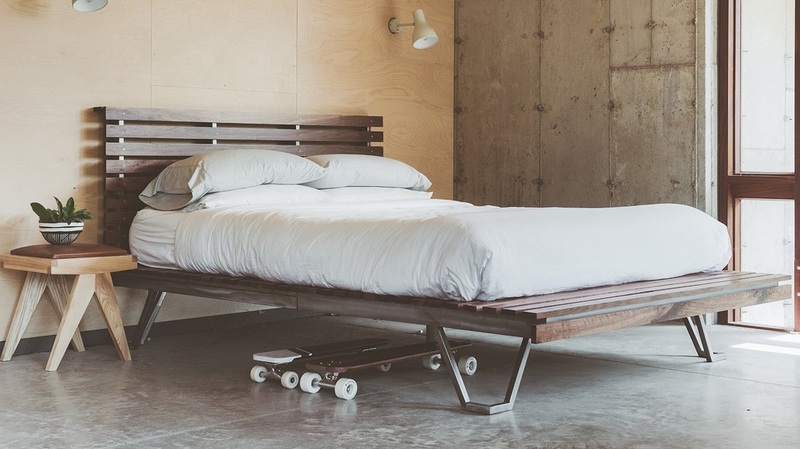 Originally designed to be moved into a five story walk up, this bed breaks down into three pieces that are easy to move and can fit through almost any doorway. The slats offer an equal distribution of support for your mattress, so a box spring is not necessary. The built in nightstand offers an easy alternative to clutter and offers a variety of customizations to fit your space. The Weekender is an large duffle bag for weekends / weeks away. It was inspired by an antique Air Force bag and suitably fits in the overhead compartment of a plane. The leather straps can be held in the hand or upon the shoulder. The bag opens wide and has one pocket on the front and two small pockets inside. This duffel was built to endure – load it up, bring it everywhere. 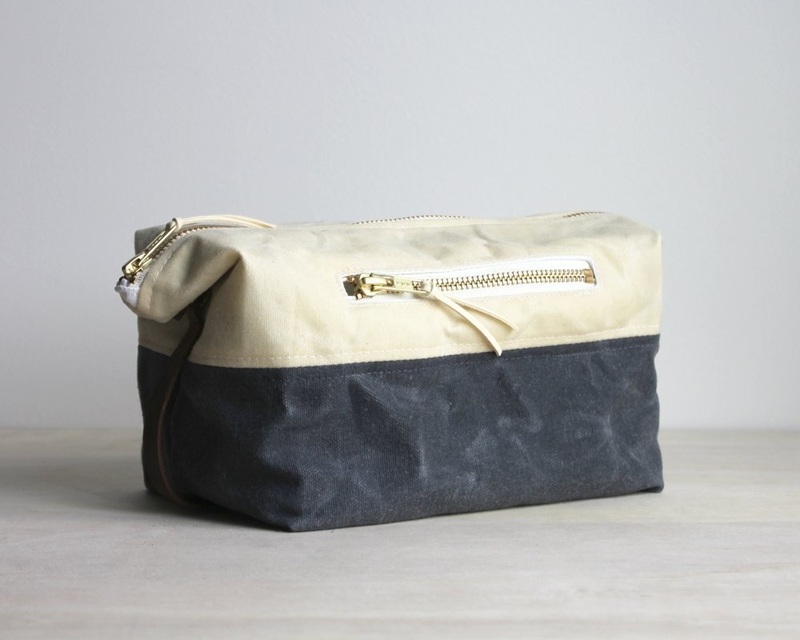 Made from two colors of waxed canvas and lined with a grey cordura nylon, this dopp is the perfect travel accessory. Inside features two open pockets to organize makeup, beard accessories, and more. An exterior zipped pocket lined in a soft white cotton is perfect to keep jewelry separate from beauty products. You can snap the sides down to create a rectangular shape perfect for squeezing in your suitcase. W2 is a very slim / smart wallet that will carry more than 8 cards and some cash. Features: Wickett & Craig Premium Vegetable Tanned Leather, Polyester lining in credit card pockets for replace/take out convenience and durability, Five partitions; one for cash and ID cards, four for credit cards. 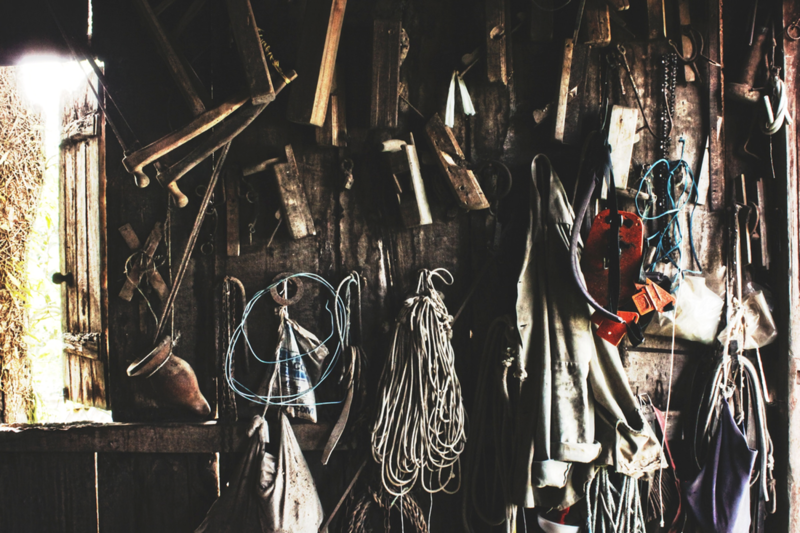 Built to last and made in USA / Brooklyn. The Up Right Chair is a an easy addition to any room in your house. 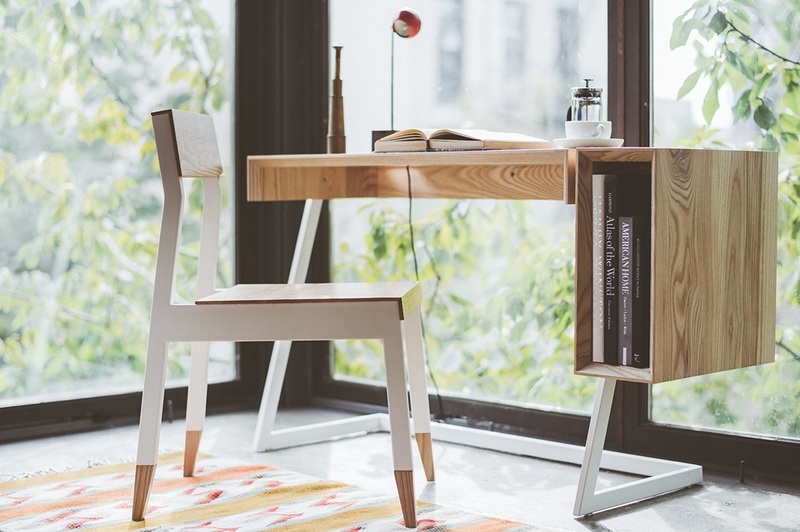 The wood feet let it come gently to the ground while a slanted seat provides comfort, ensuring you complete your work or eat your meals in style. Chair is handmade and completely custom... built by the New Jersey designer Andrew Coslow. 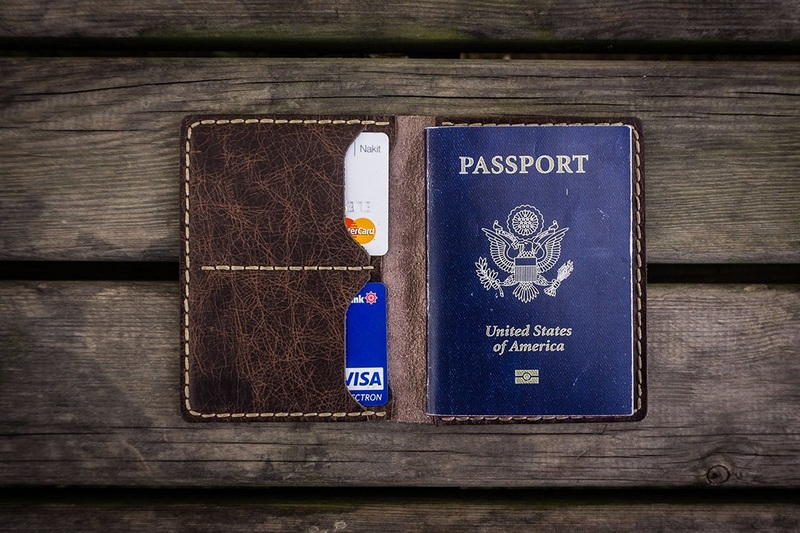 This handmade passport cover is made from quality aged leather. Hand stitched with waxed polyamide thread. The edges are beveled, waxed and burnished for a finished look. 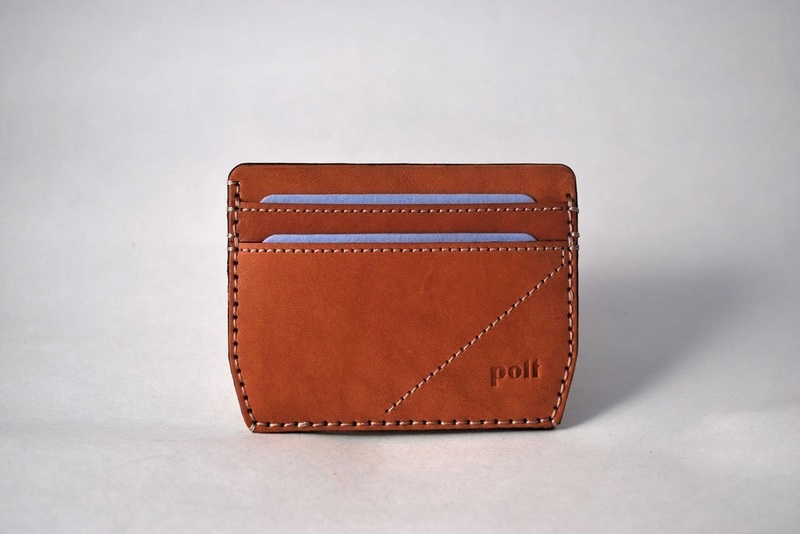 It comes with slide pocket for passport, one full pocket and two ID/Credit card slots. You also have the option to personalize. Safe travels. 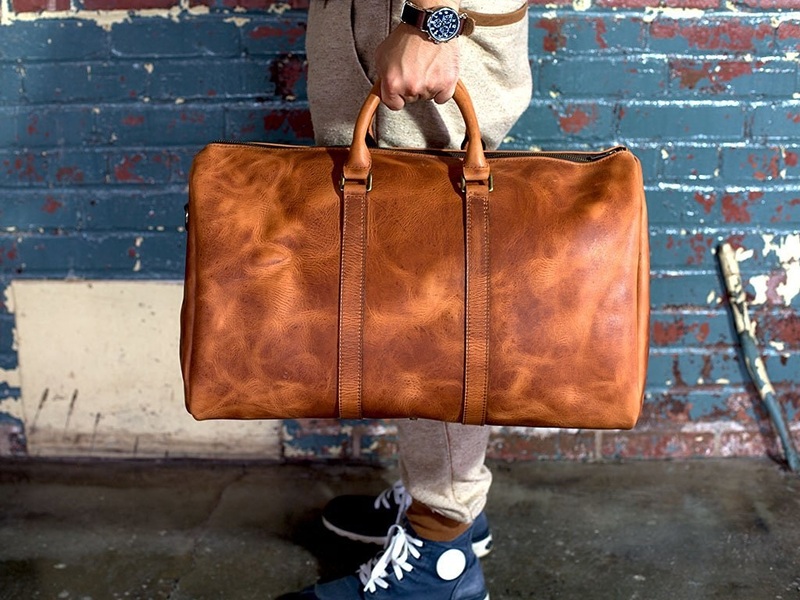 If your looking to step up your travel game... this full leather bag will do it. 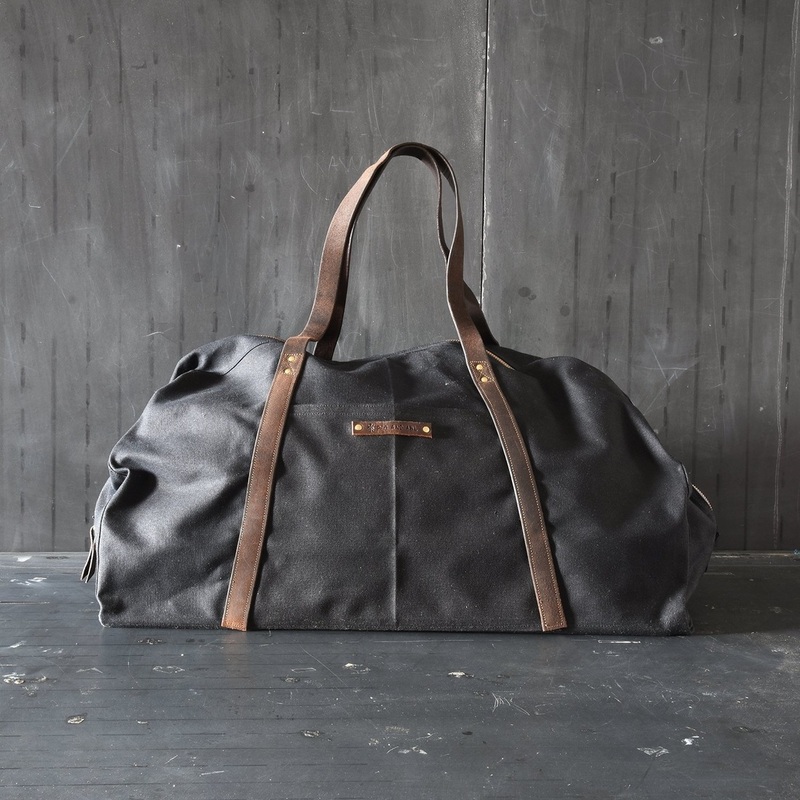 This duffle is made of Horween Leather and comes with a smooth inside lining. 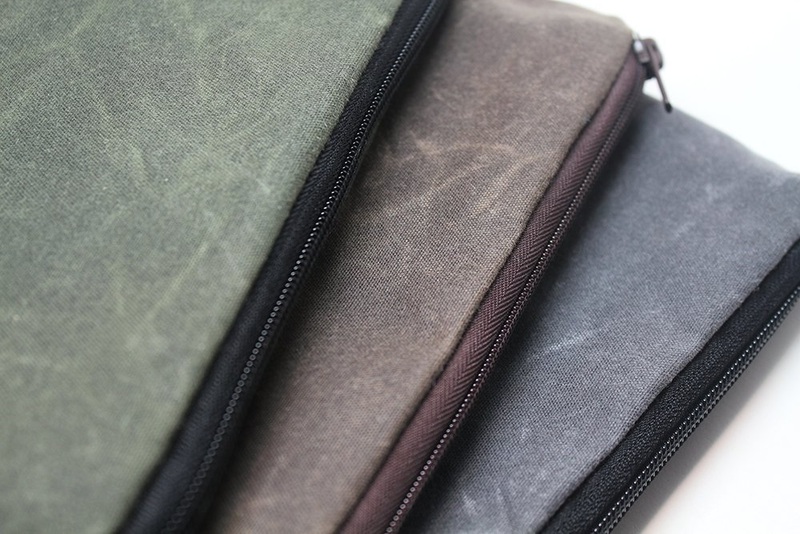 Duffle has a pocket for laptops and smaller pocket with zipper for documents. Quick and easy amazon purchasing and shipping make this a even better deal. 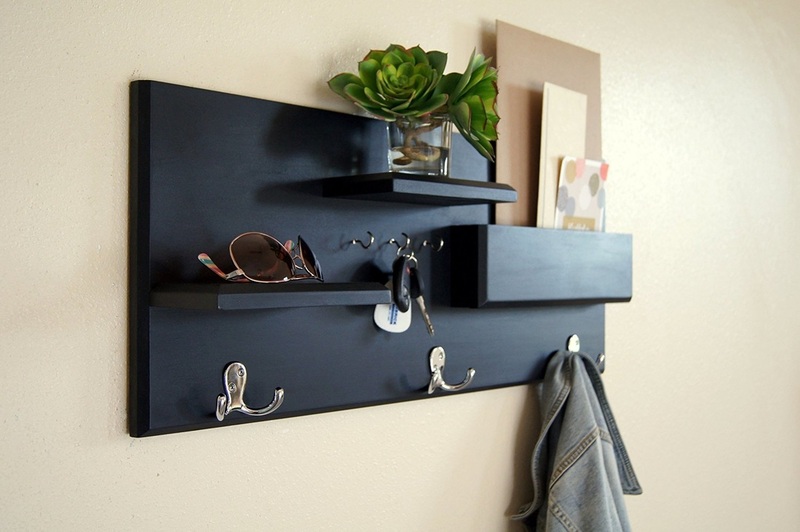 Keep organized with this Midnight Woodworks original design. The custom built flush-mount organizer is made using solid wood stained Java. Three double coat hooks provide storage for your bags, backpacks and other necessities...and they're strong enough for your heaviest of jackets! Three key hooks keep your car keys organized and easy to find. The pocket area gives you storage for your mail, calendars, tablet and planners, while the accent shelves provide a safe storage spot for your sunglasses and favorite accent pieces. Engraved Beer Growler by Crystal Imagery. Custom engraved amber glass beer growler is the perfect gift for the home brewing enthusiast. 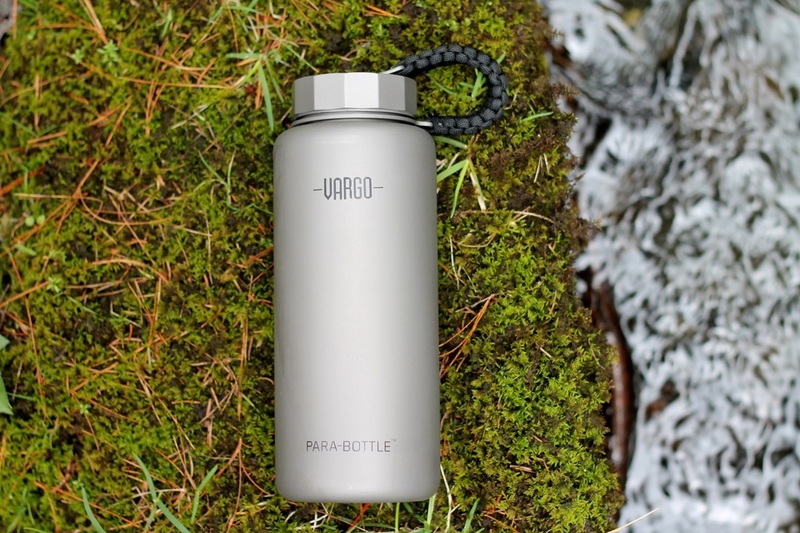 You will probably impress a few friends as well with this custom growler. 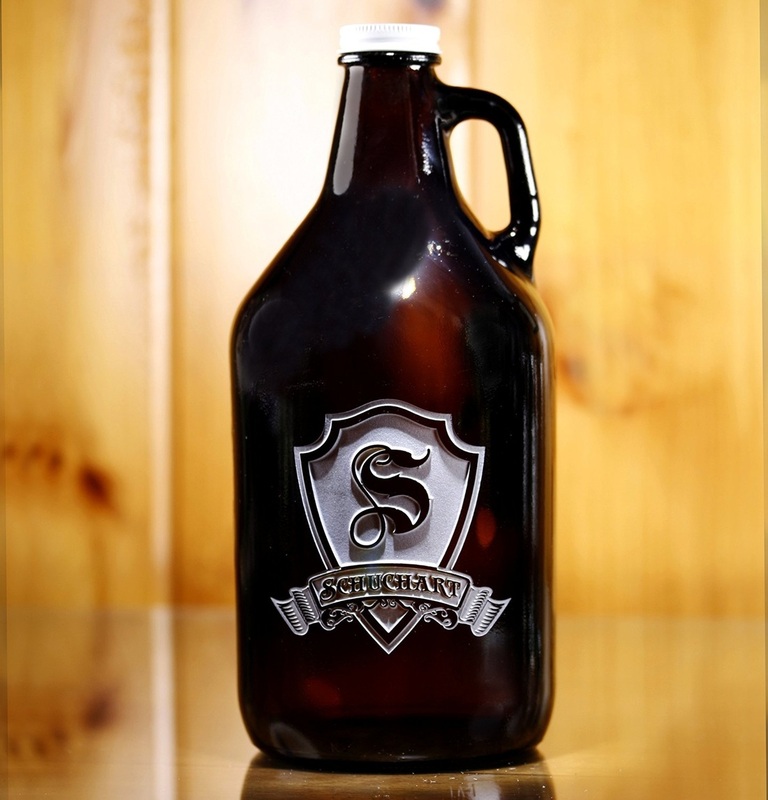 The 64 oz amber growler is a hearty glass jug complete with a white screw cap making it perfect for repeated use.